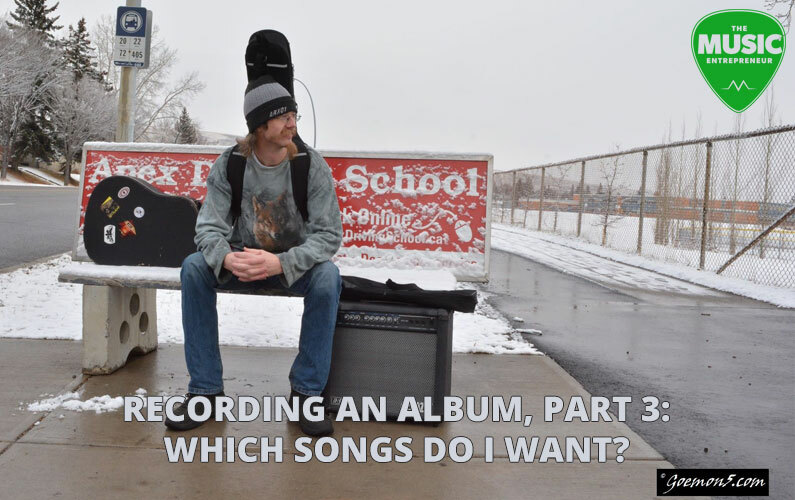 Recording An Album, Part 3: Which Songs do I Want? Unless you grew up in a recording studio (hello, Jonathan! ), you will require the assistance of a producer to carry your songs towards fame and glory. 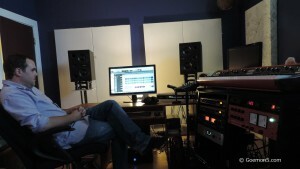 Selecting a producer was the simplest task for my record. My songwriter friend Jonathan Ferguson has always been adamant about praising the talents of Craig Newnes. Since Craig has produced both albums for my friend Joanna, as well as several other records that I really like, there was little doubt that he would be the right person to produce my debut album. So there! If you don’t get a straightforward recommendation like I did, you might be well off looking into this matter first-hand. Ask your friends which studios and producers they know, and look at the credits of locally produced albums. Then pick a producer who mixed albums that you enjoy listening to. 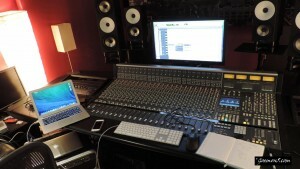 Alternatively, contact the artists that have worked with said producer, and ask them about their recording experience. That should provide you with a decent base of information to reach a decision. Now that we’ve selected a producer, let’s get to the real beef – the selection of songs. Multi-millionaires like Neil Young can afford to record twenty songs in the studio, and then use the best 10 for the new record. We “amateurs” don’t have that kind of budget or time. If you have more than a dozen songs, you probably want to be selective about which ones to blow up into full-scale professional arrangements. Actually, even with only 10 songs you should be selective. Your first album needs to be a round and glorious presentation of your craft. Your future fans will judge you by the quality of this musical statement, as will venue managers and festival directors. Therefore, a great EP is better than a mediocre album. Here are the four methods that I employed to determine the composition of my debut album. Last week I wrote extensively about demo recordings, and why they are so important for a developing musician and/or songwriter. One aspect that I left out is that demos assist you in developing an understanding of the composition and coherence of songs. Firstly, while you are recording a particular song, you are getting a better idea of what makes the song special, and why it matters to you. Sometimes I play a song a second or third time in a row to improve the recording quality, and realize that it is actually pretty repetitive and boring. The song just does not “feel right”, and needs to change. Secondly, I always upload my demos to my MP3 player, so they are shuffled in with all the other music that I listen to regularly. Time and again one of my songs pops up and just completely destroys the atmosphere that was set by all the music that came before. Sometimes it is just the recording quality of that song, but frequently the song is just not good enough to compete with those of other musicians. Such a song goes back to the drawing board, and won’t be recorded again before drastic revisions have taken place. If there are songs that you really don’t like, I suggest you don’t put them on your record. Eric Clapton can fart eight random songs onto a disk, play some lead licks, and sell it for a billion dollars. He is just that good. You and I, however, have to put markedly more effort into our art. It may not be obvious for the listener, but great records always have a topic. In order to determine the concept for my album, I wrote out a list of all the Goemon songs that I liked, and wrote one or two words next to them that described their topic. In this way, I found out that the majority of my songs are in some way circling around love or life, and thus the concept of my album was born: “life and love”. That sounds like a really broad category, but considering that a good quarter of my songs circle around death and suicide, it certainly impacts my song choices. It is alright to put one or two songs on the record that don’t belong, but you are often better off precluding all songs that do not fit your concept. There is no-one who spent as much time with your songs as you did, so you are quite likely loosing your objectivity at this point. 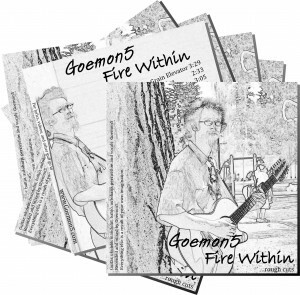 Almost half of the songs on my debut album were chosen because they are favorites of my friends. Obviously you can’t trust just any friend with that kind of power, but if you have pals who are better songwriters or musicians than yourself, they are likely to provide you with a semi-objective opinion regarding the quality of your composition. For example, my song “The Fair” is merely a nice waltz. It invokes warm summer feelings, but overall I never considered it a great song; just something to pull out for a jam or a slow dance evening. Yet, several of my musician friends find great inspiration in it, because it’s such a gentle and positive composition. Since I respect the opinion of my friends I put it on the record. Surprisingly enough, it turned out to be one of the better songs on it, due to the amazing talents of three of my session musicians, who transformed that simple waltz into a very beautiful piece of musical art. Every song should let you discover something new. Yes, there are plenty of songs on the radio that shouldn’t be there, but they usually come from pampered individuals who receive the unquestioned support of the populus, despite their poetic ignorance. Plebs are indeed easily satisfied, but the uninspired word string “baby, baby, baby” only gets you on the radio, if you are already rich and a popular prick. As songwriters, we have to aspire to be greater than that, and predominantly choose songs that are meaningful, witty, memorable, or emotionally challenging. Again, your debut album is special, and it should only contain special songs. I went through my list of songs and eliminated everything that was simple, repetitive, or boring. Of, course, exceptions can be made. My song “The Fair” is a monotonous waltz that consists entirely of reminiscence about the Country Fair. With the exception of a change in season and sentiment in verse four, there is literally nothing else to it. Its content is very simple, yet the song is more than six minutes long. I recorded it anyway, and relied on musicianship to improve its quality. More about that in one of the next blogs. Fit into the concept of my album. Are equally enjoyed by my music-listening friends. Have something interesting to tell. 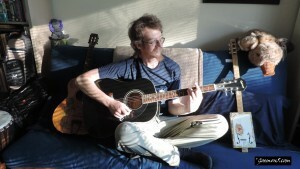 Craig was pleased, and so began our one-year journey from pencil scribbles to Folk record. Next week, we will hit the studio, and talk about some of the challenges involved in recording acoustic instruments. I usually write one song per instrument, so that will be quite a trip. Recording and promoting a release of any size can be a massive undertaking. That’s why I put together a new eBook titled: How to Record, Promote & Sell Your New Music Release – Single, EP, or Album. This resource is packed with information detailing each step of the recording process, and even how to promote and sell your new release. Click HERE to find out more.